Anthropomorphic mask, the forehead separated by a midline that merges into a resolute crest. 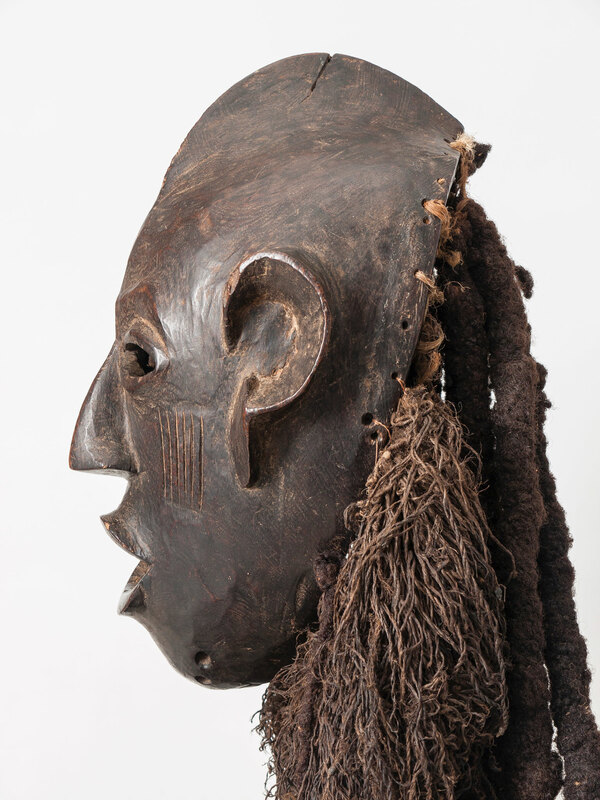 Beautifully stylized ears and a majestic wig made of human hair, decorated with cowrie snails and some old glass beads. 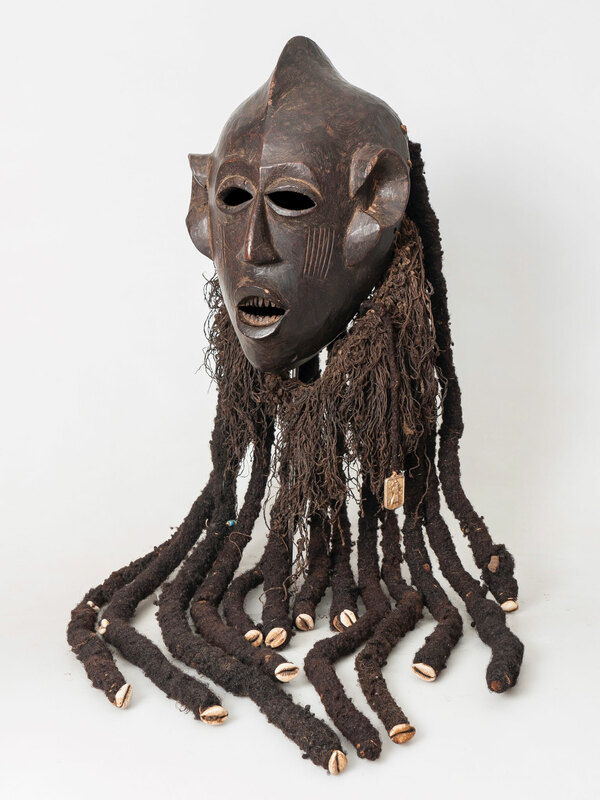 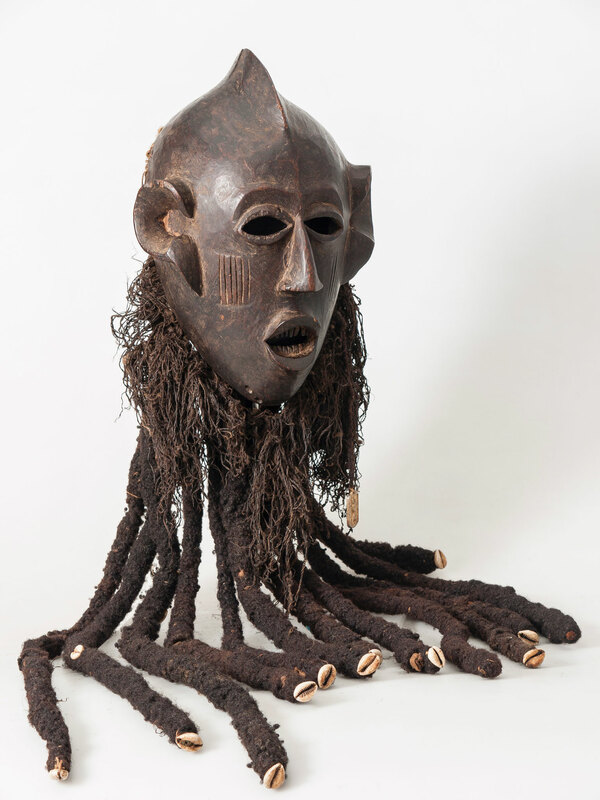 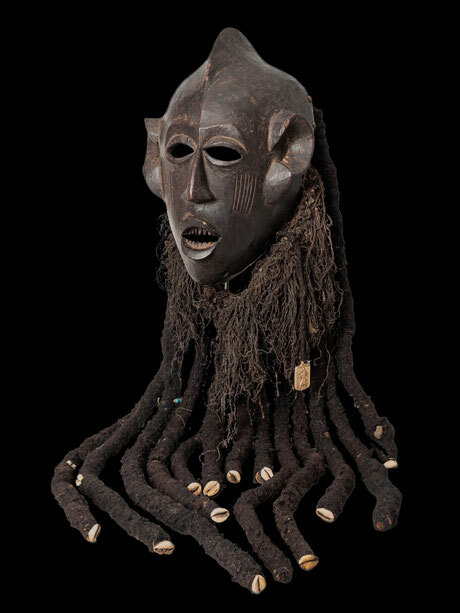 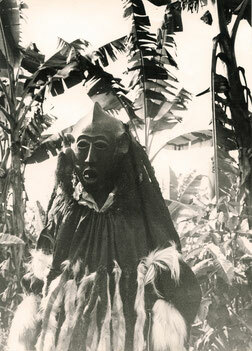 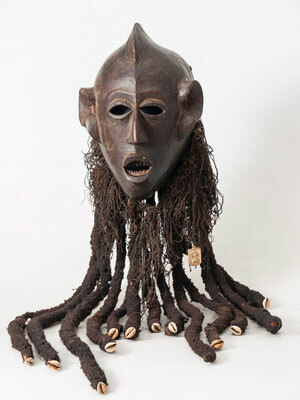 This mask was used in the fight against witchcraft. 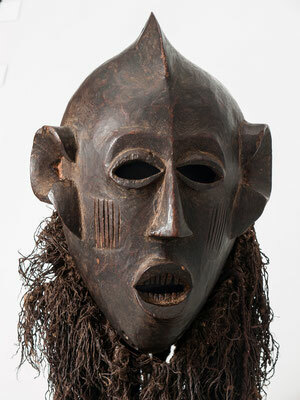 Excellent overall condition, dark patina and excellent design. 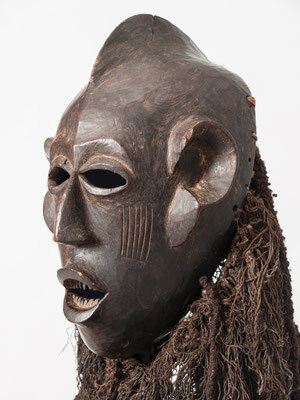 Exhibited 2003/2004: Animals, Masks & Magic (staatliches Naturkundemuseum, Stuttgart, Germany), see pictures. 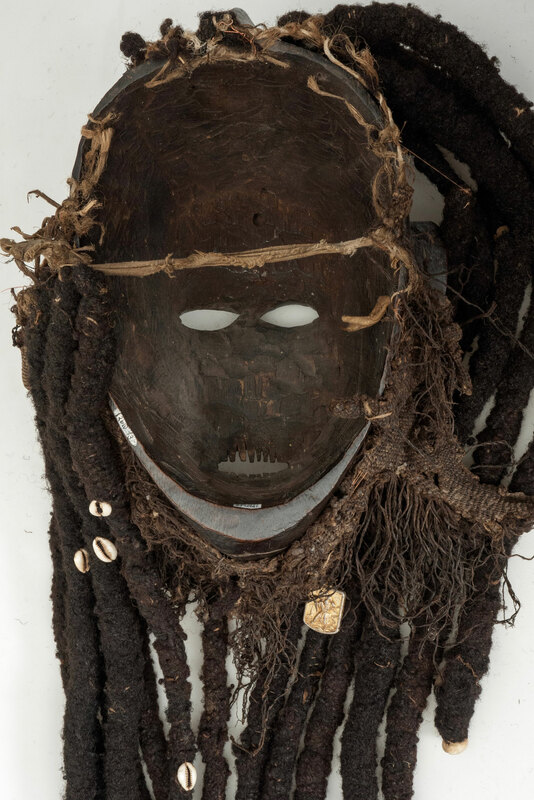 Human hair, cowrie, plant fiber, brass, glass bead and a golden St. Christopher's plaque.